Corporate social responsibility (CSR) is the business of doing good. So much more than a marketing opportunity, it’s about building a social purpose into your organization and making a real difference in your community and the world at large. 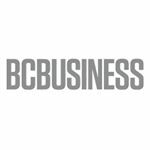 On Monday, February 4 at Civic Hotel, Autograph Collection, BCBusiness will host two afternoon panel discussions with local business and non-profit leaders who understand the importance of CSR. Join us as they share their insights on joining forces with charities, balancing profit with a greater cause and creating a workplace culture that encourages social responsibility—and their advice on how you can start doing the same. For every ticket sold, BCBusiness will donate $10 to charity. United Way is a non-profit with local chapters all over North America that focuses on aiding people below the poverty line, helping kids fulfil their potential and creating caring communities. Panellist Mary Ellen Schaafsma, director of social innovation with the Lower Mainland’s United Way chapter, will speak about engineering social purpose in communities and instilling it in workplace culture. The other Business of Good panellists include Ryan Moreno, CEO and co-founder of hospitality company Joseph Richard Group, who was a 2018 an EY Entrepreneur Of The Year finalist; Tako van Popta, a partner with Surrey-based law firm McQuarrie, who advises clients on buying and selling businesses; and Nicole Ray, relationship manager at Compassion Canada, a project that helps children in 25 countries escape poverty. Even in B.C., one in five children lives below the poverty line.